We reserve the right to cancel or refuse an order, at times we have supplier or quality issues which is beyond our control. This is in regard to the recent wax and fragrance shortages. Use This website is owned by “Friendly Fumes Soaps and Candles LLC”. If you have any comments or queries, please contact us online. You are invited to use www.friendlyfumes.com website (“the Website”) on the basis of the terms and conditions of use set out below. 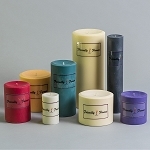 Friendly Fumes Soaps and Candles LLC makes every effort to ensure that the content of the Website is accurate and up-to-date, but Friendly Fumes Soaps and Candles LLC does not offer any warranties (whether express implied or otherwise) as to the reliability, accuracy or completeness of the information appearing on the Website. Friendly Fumes Soaps and Candles LLC may remove material from the Website at its own discretion and without giving any notice. Any information offered in relation to nutrition or health benefits of infant foods or in relation to other medical issues, while based on scientific evidence, is intended to be general in nature. You should consult your doctor for diet, nutritional and medical advice specific to the health needs of you and your baby. If you choose to rely on such information you do so entirely at your own risk and (subject to applicable laws) Friendly Fumes Soaps and Candles LLC cannot be held responsible for the outcome. You acknowledge and agree that all copyright, trademarks and other intellectual property rights in the Website content, software and all HTML and other code contained in this Website, shall remain at all times vested in Friendly Fumes Soaps and Candles LLC and/or its licensors and is protected by copyright and other laws and international treaty provisions. Any other trademark remains the property of its respective owner(s). Users may not modify; copy, distribute, transmit, display, redistribute, reproduce, publish, license, commercially exploit, create derivative works from, transfer, or sell any material which may be displayed on the Website from time to time without first obtaining permission to do so from Friendly Fumes Soaps and Candles LLC in writing. The Website and its contents are copyright material and the copyright is owned by Friendly Fumes Soaps and Candles LLC unless stated otherwise. Without limiting the foregoing, copying the above listed materials to any other server or location for publication, reproduction or distribution is expressly prohibited. Generally speaking, trademarks appearing on the Website are either owned by Friendly Fumes Soaps and Candles LLC or Friendly Fumes Soaps and Candles LLC has obtained limited use permission from the trademark owner to use the trademark on the Website. Any other third party trademarks remain the property of their respective owners. If you wish to obtain permission to make use of any of the trademarks or other material that may be displayed on the Website from time to time please contact us. Friendly Fumes Soaps and Candles LLC shall not be responsible for seeking any additional authorization required for third party use of any trademark not owned by or licensed to Friendly Fumes Soaps and Candles LLC for such use. Use of our text and images are owned by Friendly Fumes Soaps and Candles LLC. Use without our permission is prohibited. 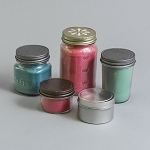 You are permitted to use the material that is displayed on the Website from time to time only as expressly authorized by Friendly Fumes Soaps and Candles LLC or its licensors. 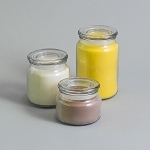 This Website is intended to provide information relating to Friendly Fumes Soaps and Candles LLC concerns and the Website is designed for personal, non-commercial use only. Users may not use this Website, or any of the material appearing on the Website from time to time to further any commercial purpose, including (but not limited to) advertising or to promote or generate activity on any other website.